Edward Kyomoon ROCKED Ce Soir! – Ce Soir Arts – Be inspired tonight! Edward Kyomoon ROCKED Ce Soir! 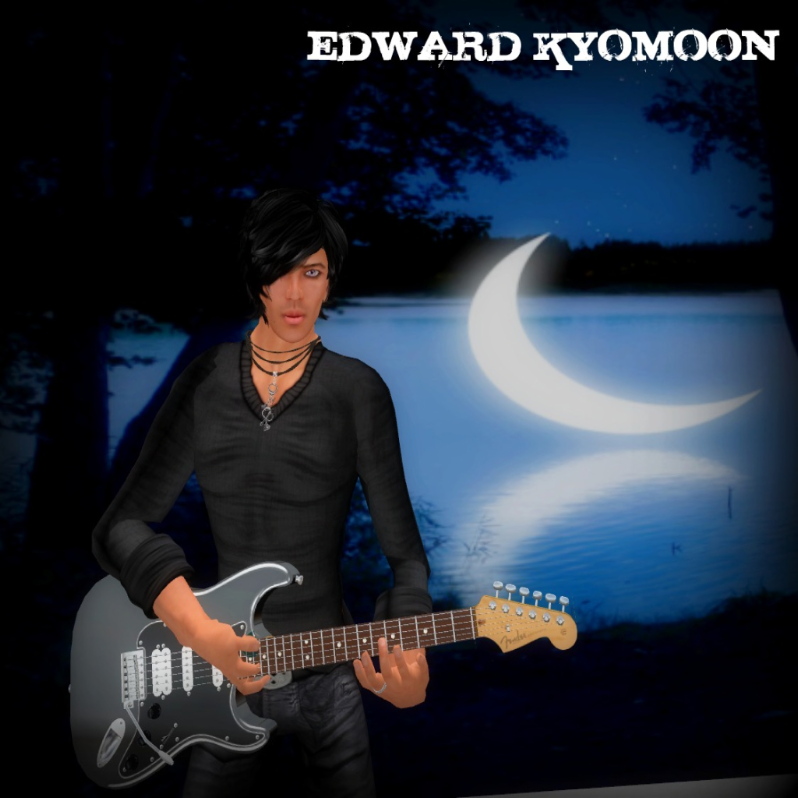 UPDATE: As predicted, long-time SL rockstar, Edward Kyomoon rocked one of the grid’s newest music and arts venues, Ce Soir, last night. Nearly 60 avatars gathered to hear Ed work his musical magic with vibrant vocals, lush guitar sounds, and some truly exceptional piano-playing. His energy is undeniable and as he leapt from the stage to take a seat at the glowing piano, the crowd cheered. We were in for a treat, as Ed shared one of his newest compositions – an upbeat, smooth collection of tones that (like his entire show) delighted steady fans and new listeners alike. As a professional recording engineer, Ed brings both technical and artistic prowess to bear in the real and virtual worlds with his music. His impressive set list includes tunes from the 60s to the present including artists such as The Doors, Blue October, Snow Patrol, and Nine Inch Nails. His performance is impeccable. Still, it was his original music that most captured the audience last night, and it was a joy for us to hear them chiming in with lyrics in local chat. Ed is obviously beloved and followed by a discriminating crowd. We can’t wait to host him – and them! – again. Check here for schedule updates soon!